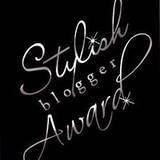 Three Sisterz: Stylish Blogger Award!! 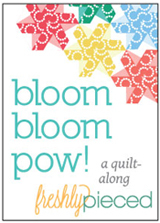 Emily @ LaForceBeWithYou honored us with a Stylish Blogger award! We are so thrilled that someone other than our good friends/family reads us enough to give us an award. So, thank you Emily. And by the way, run don't walk click quickly and check out her Burlap Wreath. SO cute! Here goes on the 7 things. Keep in mind there are 3 of us who tend to this blog. I am taking the liberty of sharing 7 things about us and I'm crossing my fingers they don't hate me for it. 6. 1 of us is Mommy to all of us (kiddos included)-Court or "Mommy Courtenay"
7. All 3 of us admit that our relationships together are never perfect and sometimes we fight (BIG and small) but we love each other to pieces and would do just about anything for each other. 1. Lemon Tree Creations--I don't know if they count as "recently discovered" but they are recently discovered to us and we love them! Molly and I have been emailing links back and forth for potential projects specifically their PILLOWS! 2. 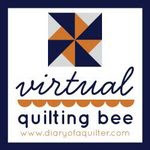 Vintage Sheet Blog--Because we love all things vintage and well, how can you not love someone who quilts with vintage sheets? 3. Just Another Day in Paradise--Just recently stumbled across her after I saw the tutorial for her Dapper Little Man Bow Tie Tutorial. Need I say more? 4. Lizard Rae Rambles is a *very* good friend of ours and only blogs sporadically but when she does, we love it. She's hilarious and she's super crafty. And we love her photos. And we want her to move in with us and make us these little red velvet cakes. Leah, consider this our encouragement to keep blogging! 5. The Painted Hive-I love looking at her blog and everyday I look in my feed and hope for another post. I love her bright, airy house particularly her living room and it serves as inspiration for my own house. 6. Meet the Dubiens-I can't help myself. She makes me want to put my laptop down and CRAFT with my children. I love her projects and her photos are out of this world! 7. Two Carolina Nesters is another one where I just love their sense of style--both in their home and on their blog. It is so serene. And I love that fact that it's a mother/daughter duo. What fun! 8. Classy Columbus Designs--We loved her modern pillow that she did! We found her after linking up to her Wine Linky party. Seriously, it's like she thinks we like happy hour or something;). I hope you all are able to pay the award forward (though it is not for the faint at heart--took me 2 weeks to do this!! But without a doubt, it feels so good to receive it! Thank-you so much for the award! I am beyond flattered.